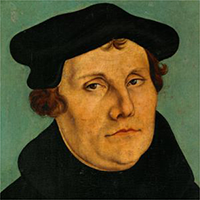 It was the 16th Century German friar, Martin Luther, who rose to become the central figure of the reformed Christian movement during that century. This movement is more commonly referred to as the Protestant Reformation. The Reformation ran head-first against the accepted traditions, councils, the Popes, and the linchpins of Roman Catholic theology as they pertain to man’s redemption and ultimate salvation. Martin Luther, OSA, was a German friar, Catholic and Lutheran priest, professor of theology and seminal figure of the 16th-century movement in Christianity known later as the Protestant Reformation.